This Easy Strawberry Frosting is light and creamy, and it’s the perfect compliment to your favorite chocolate, vanilla, or banana cupcakes! 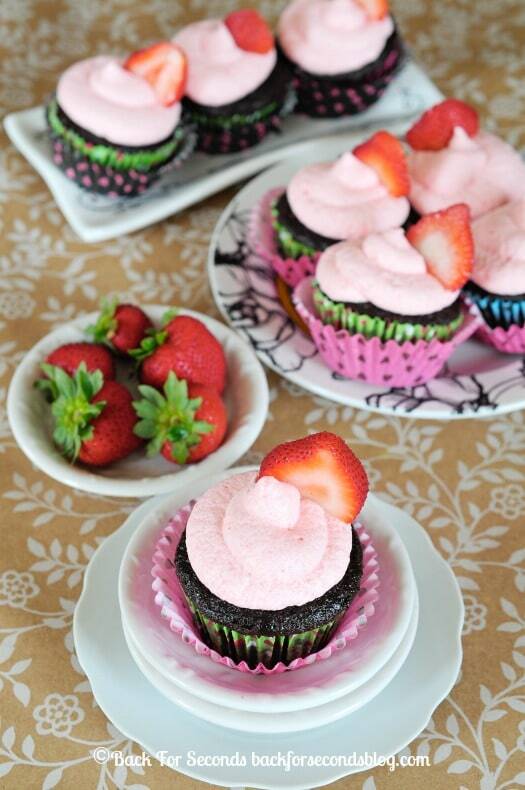 In the summer time we just cannot get enough strawberries! It doesn’t matter how much I buy, they never have a chance to go bad. 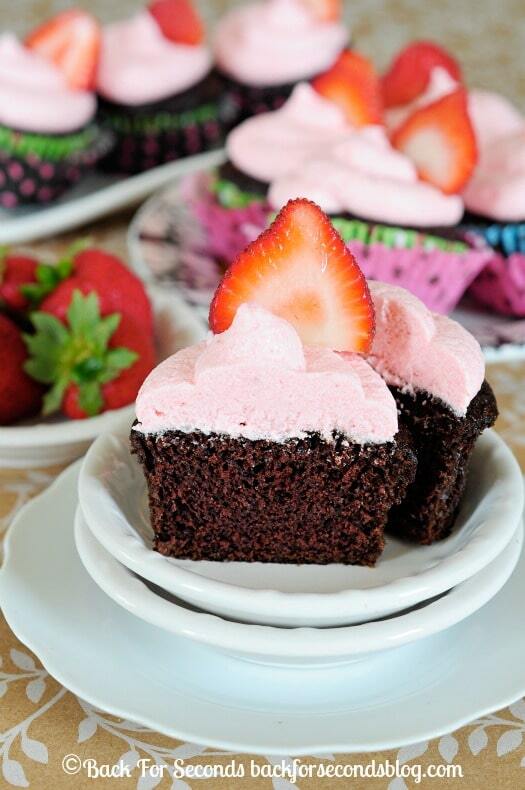 We had a big family gathering last weekend and I thought chocolate cupcakes with this Easy Strawberry Frosting was the perfect treat to bring along. Not only does it look pretty, but the light and airy creaminess is perfection on top of these ultra chocolatey cupcakes! Normally I prefer chocolate on top of chocolate, with a side of chocolate. Who’s with me? But when it’s really hot outside, I tend to choose desserts that aren’t quite as rich. Sure, I still made a chocolate cupcake, but this time the frosting was fruity and fluffy, light and creamy. 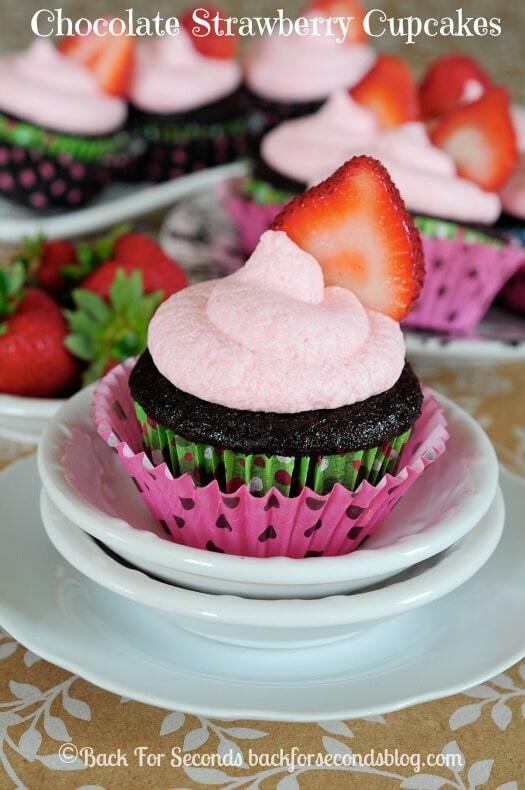 And who doesn’t enjoy chocolate with strawberry! Love your photos! This frosting sounds yummy! Oh my. I can support strawberry frosting 100%, too! It looks so fluffy! These cupcakes look so delicious– and add a blueberry, it will be perfect for the fourth! This frosting looks just perfect, absolutely perfect. Great job! I wish I could taste it from here. 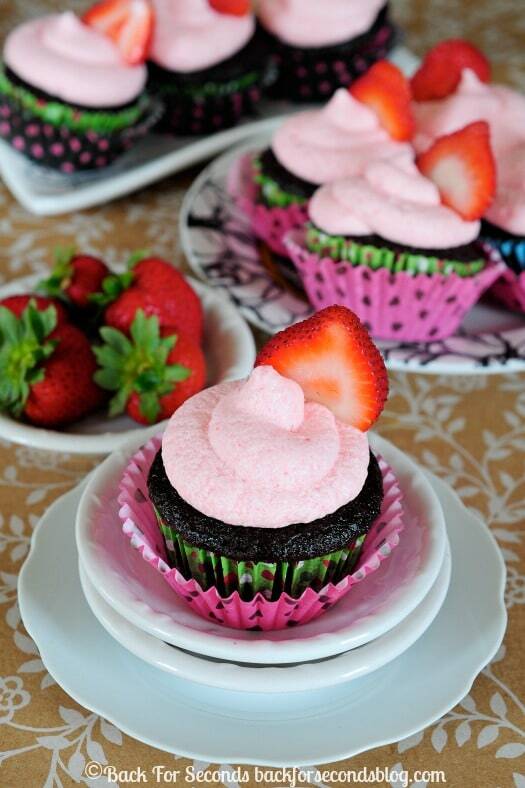 I love strawberry frosting of all kinds…I can’t wait to try this! Looks so good! Of what a clever idea to use nesquik. What would be the best way to add fresh strawberries into this reciepe? would i have to swap anything else out? You probably won’t need to add any cream because of the juice from the berries. Let me know how you like it! Nestle Strawberry Quick is not a product I would buy or use for anything else. Do you think I could substitute dry strawberry Jell-O mix?